Holiday apartment situated within the El Atardecer urbanisation in Novo Sancti Petri Chiclana de la Frontera, for up to four people, only a few metres from La Barrosa beach, very close to the shortcuts to the beach, only about four minutes walk away. There are two bedrooms with fitted wardrobes and one bathroom with bathtub. The kitchen is fully equipped with oven, microwave, hob, fridge, coffee maker and toaster. The apartment has a living room with plasma TV, sofa, and modern/contemporary furniture. The urbanisation offers a communal swimming pool and well-tended gardens. The pool is open during the summer months. Private parking. The apartment is on the first floor and the terrace overlooks the gardens and has a table and chairs for outdoor dining. The terrace also has an awning to provide shade in summer. The property is located next to Novo Commercial Centre where you will find a multitude of services including shops, supermarkets, restaurants and ATMs. 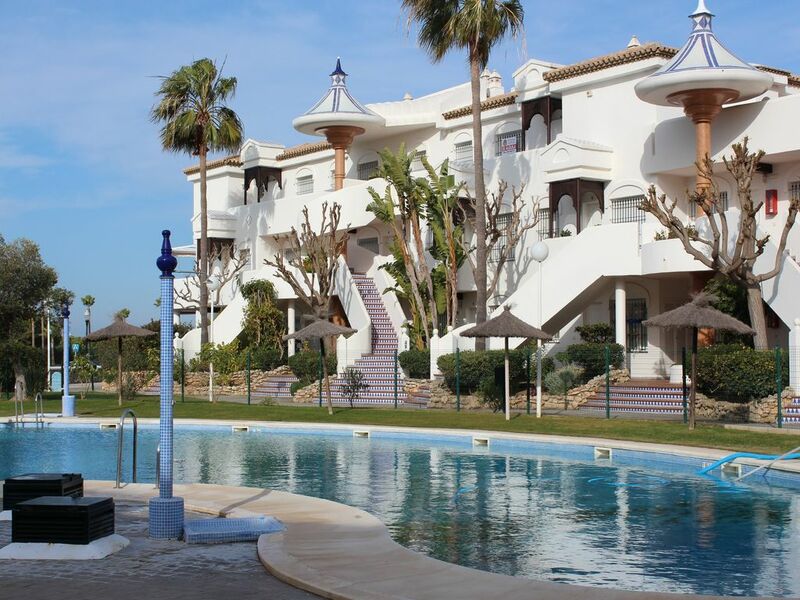 It is one of the most sought after developments in Chiclana for its situation and tranquility. Extra duvets and blankets are provided for stays in low season. La casa es amplia y cuenta con mucho menaje de cocina y electrodomesticos El horno no funcionaba. Echamos en falta alguna manta para el sofá, puesto que el radiador que hay en el salón no calentaba el salón. La ubicación y las instalaciones Quiza deberían poner mosquiteras en las ventanas, y la plaza de aparcamiento es un poco justa.